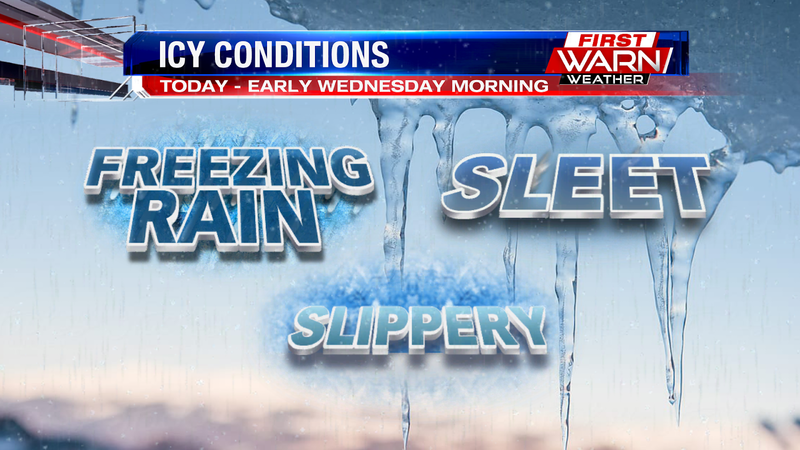 While your morning commute today will ok, it's the evening commute tonight and morning commute tomorrow you need to worry about. 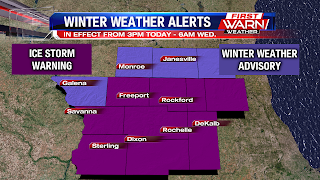 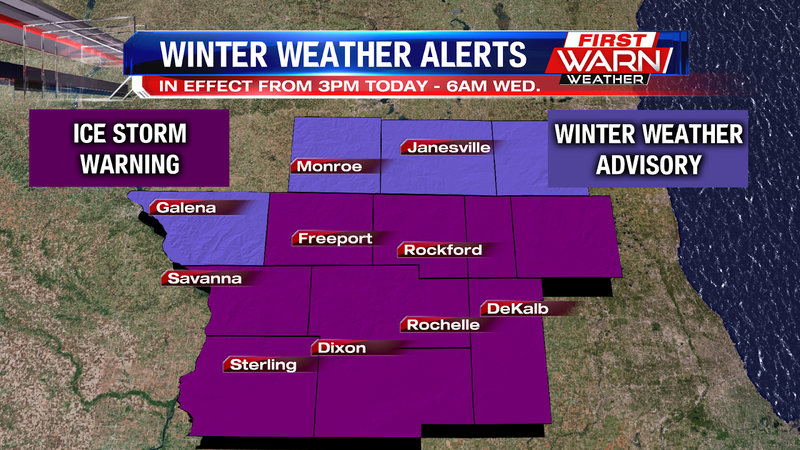 An Ice Storm Warning is in effect for much of northern Illinois beginning at 3pm and going until 6am tomorrow morning. 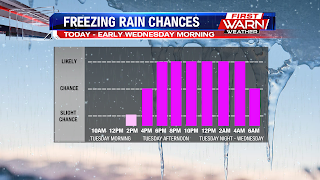 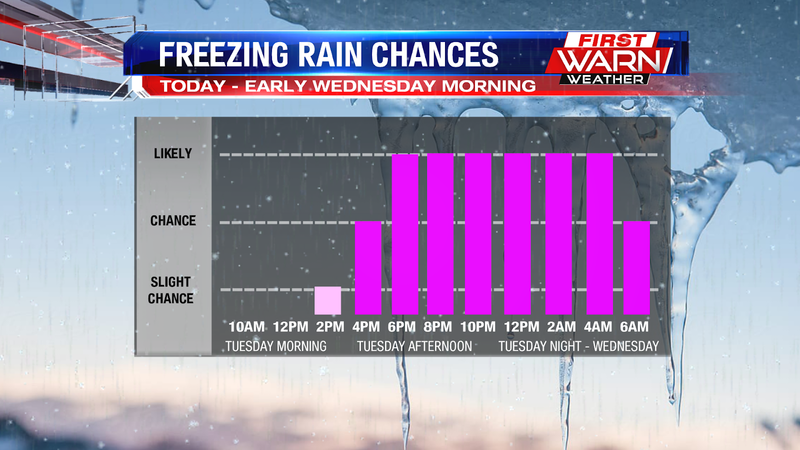 Expect freezing rain and sleet to become likely later this afternoon and into the evening hours. 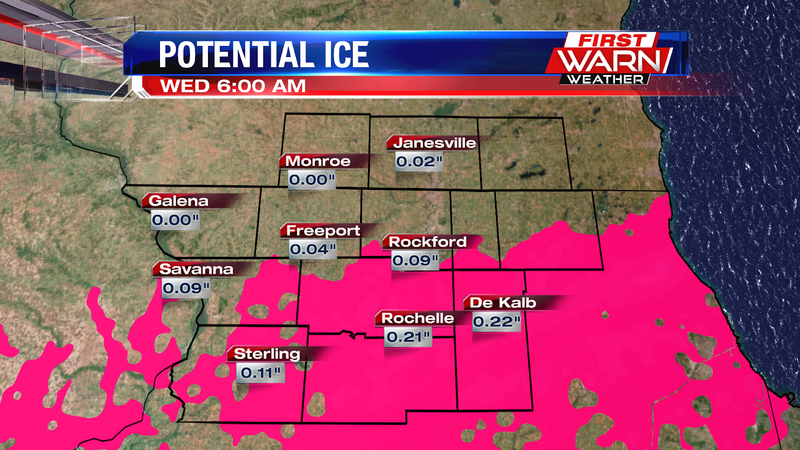 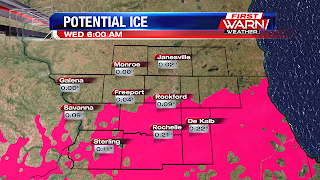 We could see around .2" - .4" of ice by Wednesday morning. 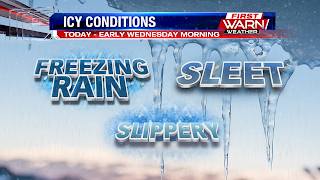 Take it slow later today!